This item is out of stock, however, we can usually create something similar. Please contact us. 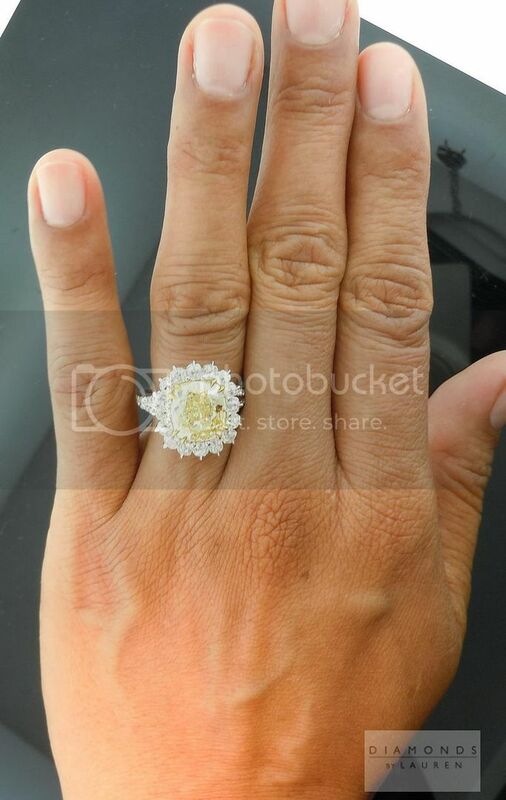 We will ship the ring in your size. 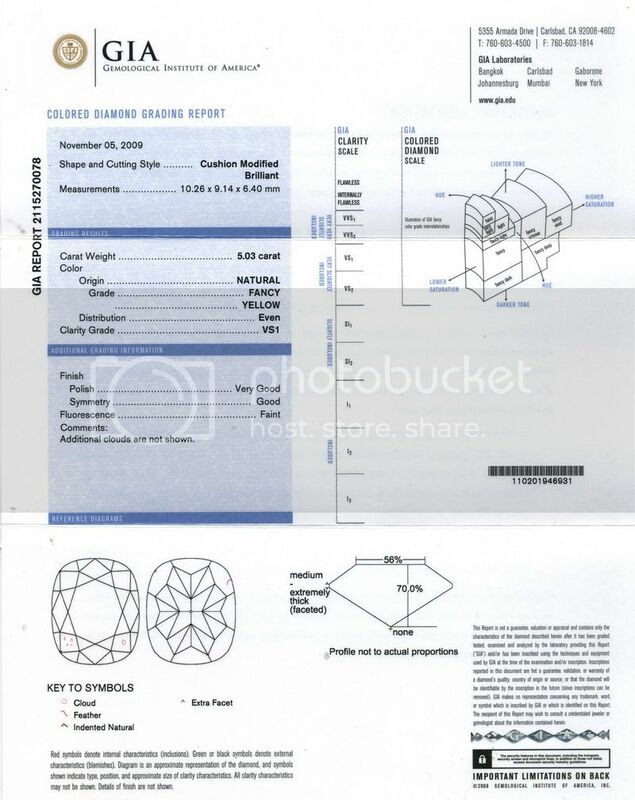 Original GIA Report ships with item. 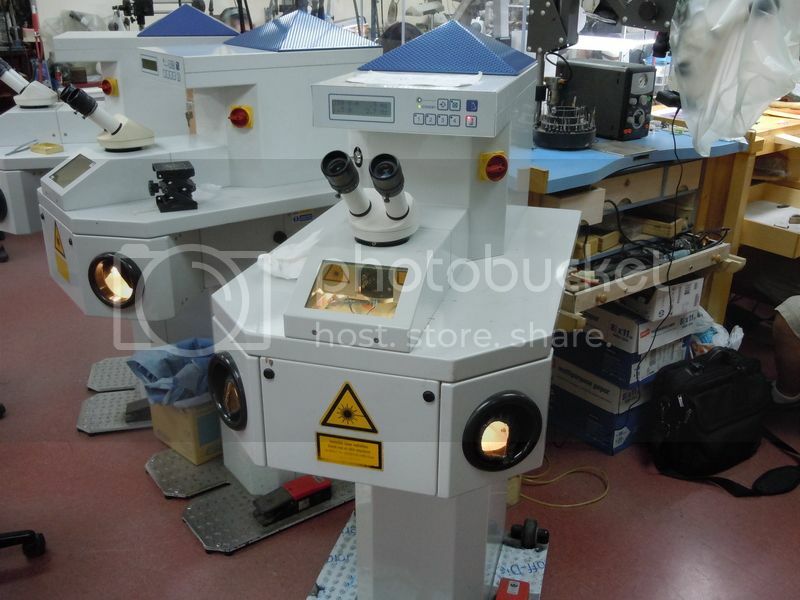 We also include our comprehensive appraisal for identification or insurance purposes. 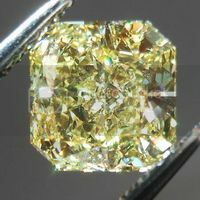 How much will my new diamond appraise for? 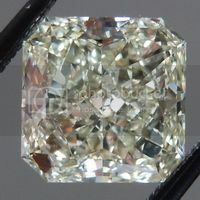 This is a truly exceptional cushion cut diamond. 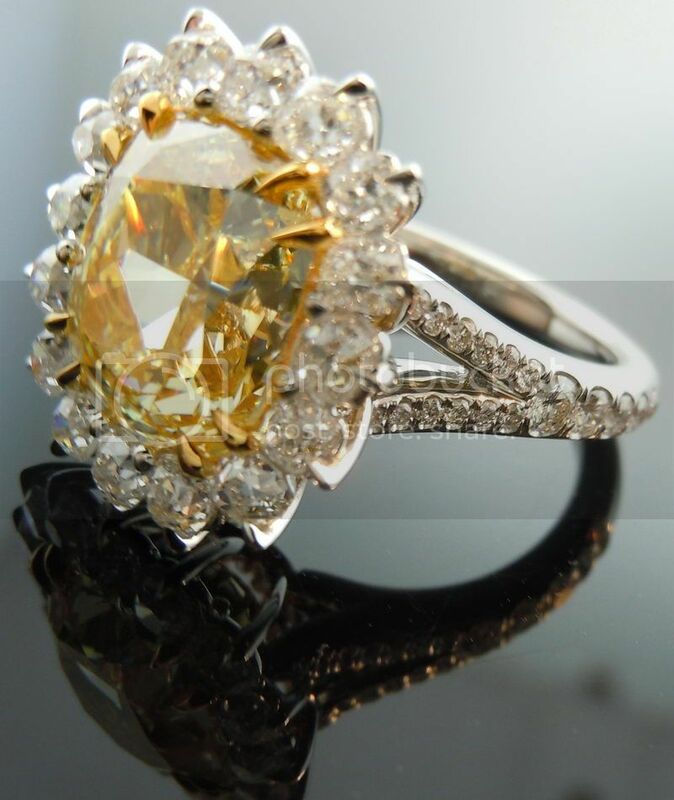 Everything about this stone is beautiful. 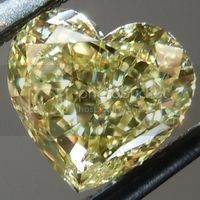 It has a lovely soft shape to it that is very pleasing to the eye. The cut is outstanding. 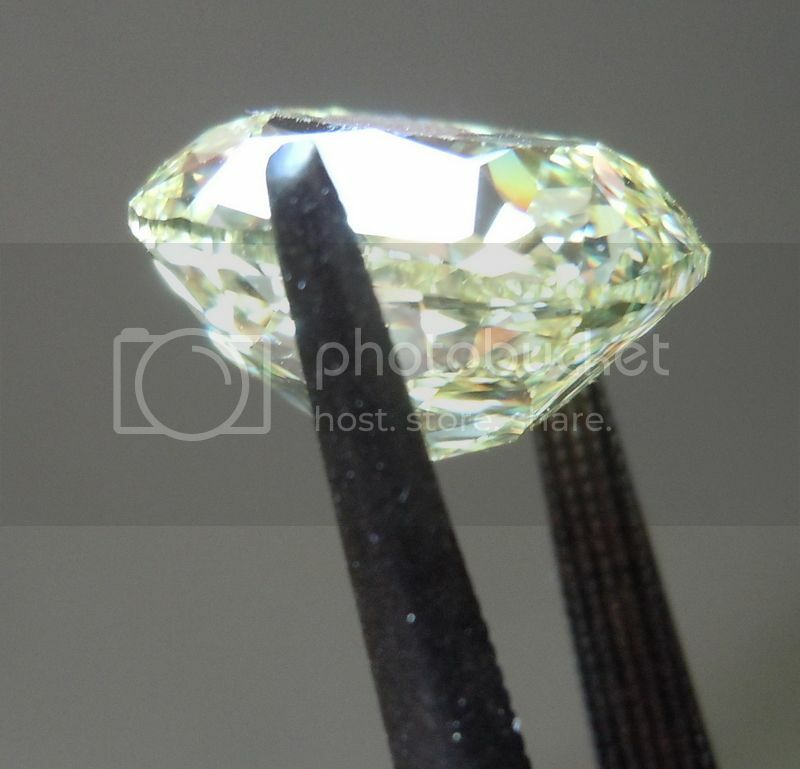 You get amazing edge to edge sparkle on this lovely diamond. This stone also has great size for the weight. 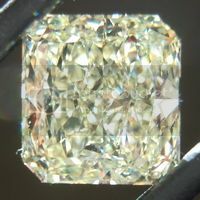 The stone is a VS1 clarity, as graded by GIA. 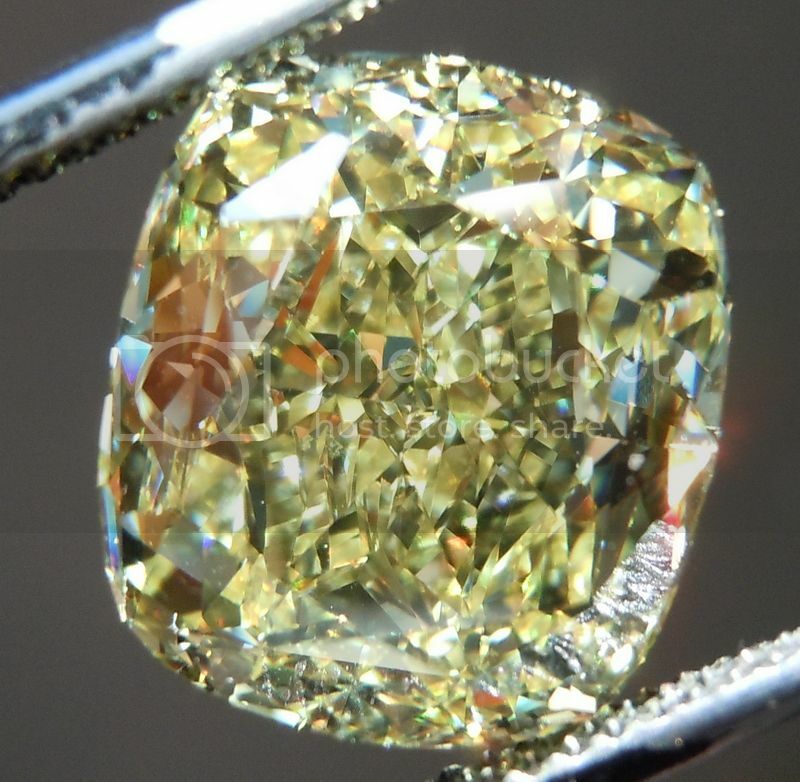 The diamond is completely eye clean. There is a range of shades within the color grade of "Fancy Yellow." 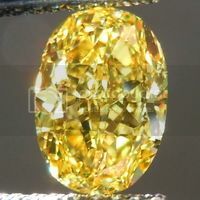 At the lightest end we have stones that are only slightly deeper in color than a Fancy Light Yellow- and at the dark end, stones that are very slightly less intense yellow than Fancy intense Yellow as defined by GIA. 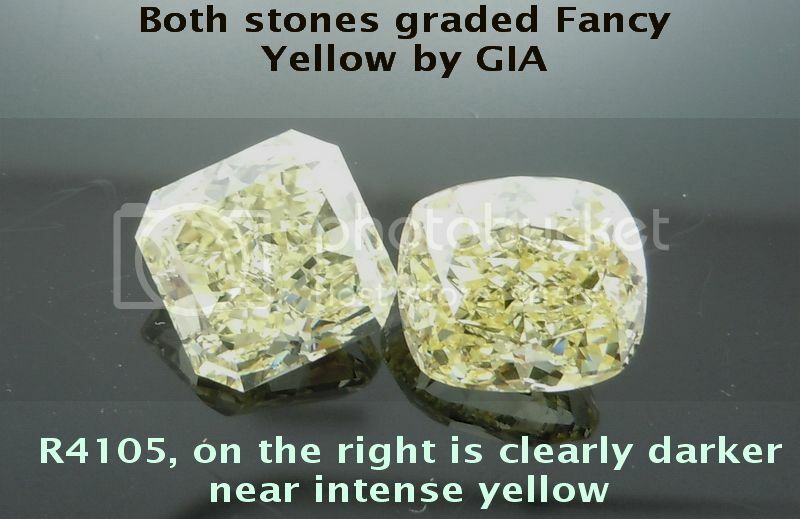 Below is a comparison shot of R4105 next to a 5.02 Fancy Yellow diamond. 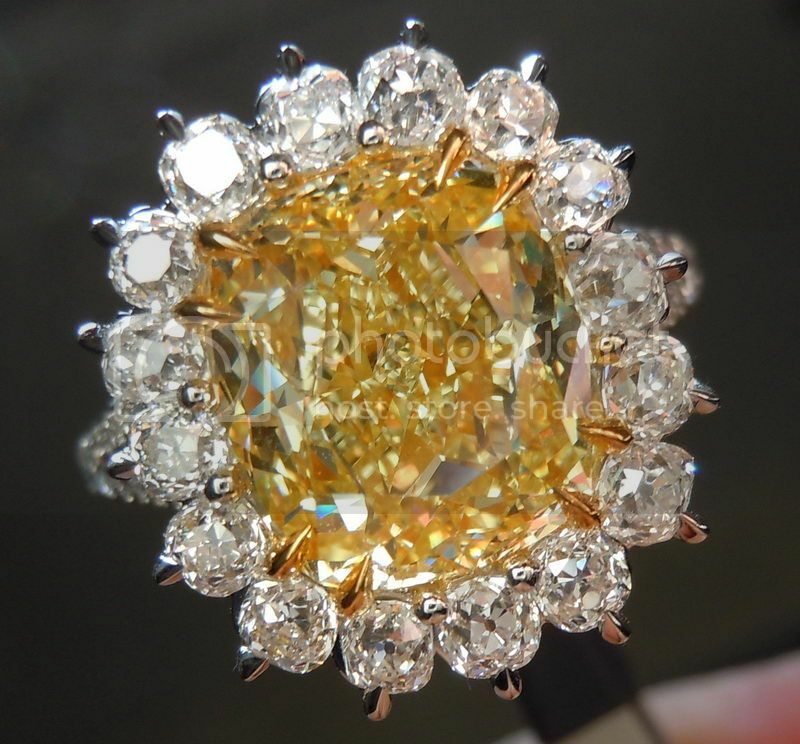 R4105 looks to be two shades darker, both got the same color grade from GIA. 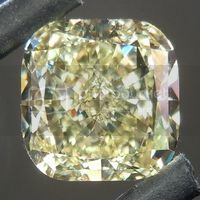 This diamond has a very lovely high crown to it and a small table giving it a hint of "old world charm". 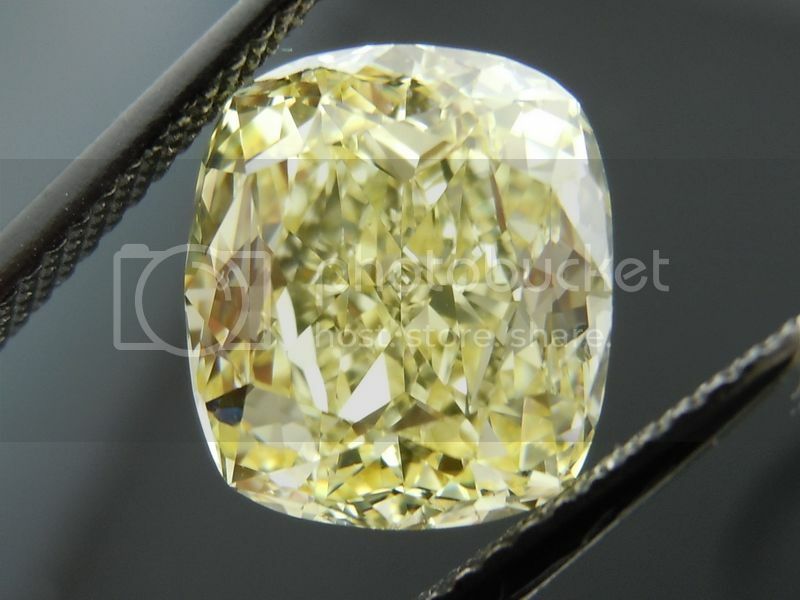 The Fancy Yellow Cushion is completely surrounded by small Old Mine Brilliant Diamonds - designed by Yoram F - who also designed our branded Diamonds by Lauren Cut For Color Antique Diamond line. 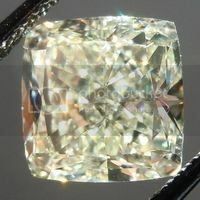 As you can see in the photo above, the stones are slightly irregular - as Antique Diamonds are. This adds to the mystique and beauty of the piece immensely. 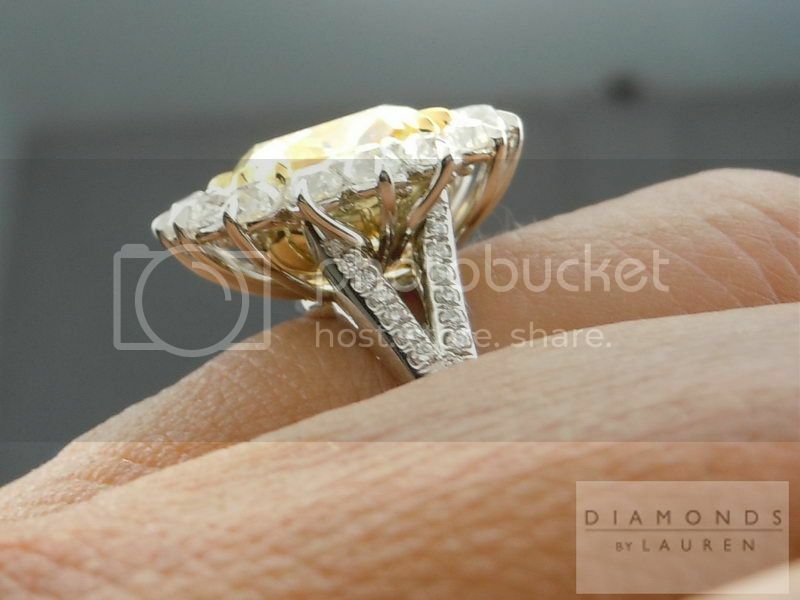 Each stone has it's own "claw" prong at the outside. On the inside, our guys pulled off an incredible feat. 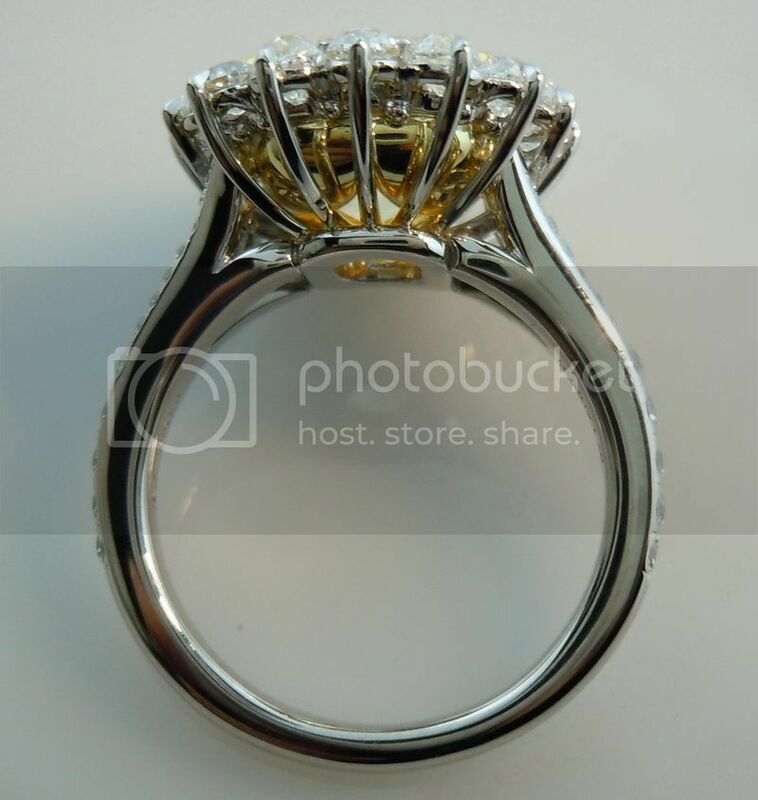 The inside prong for each stone is either a common platinum prong- shared with the stone next to it, or it's held by the back of the prong holding the center diamond. 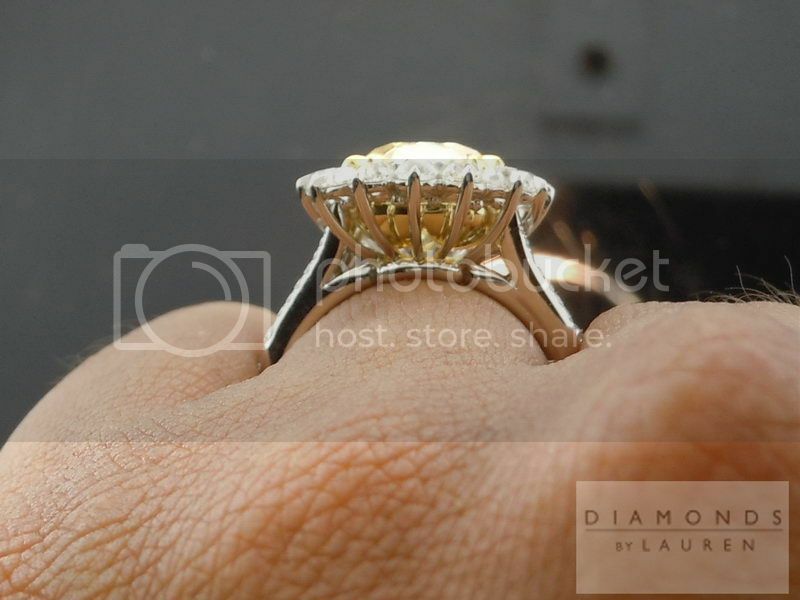 The double claw prongs at the corner are strategically placed to hold the small old mine diamond on the outside. 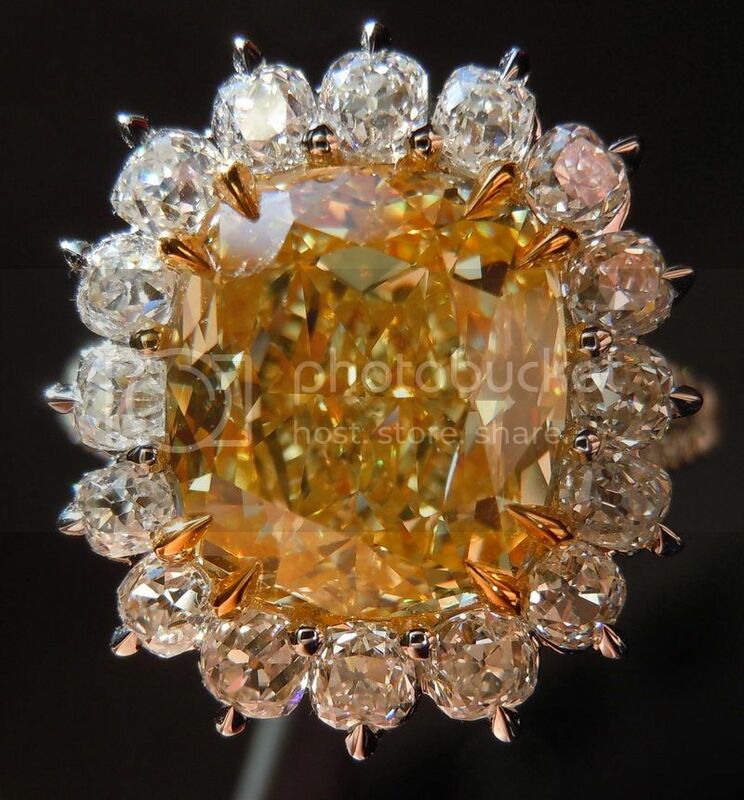 Truly a feat of jewelry engineering. 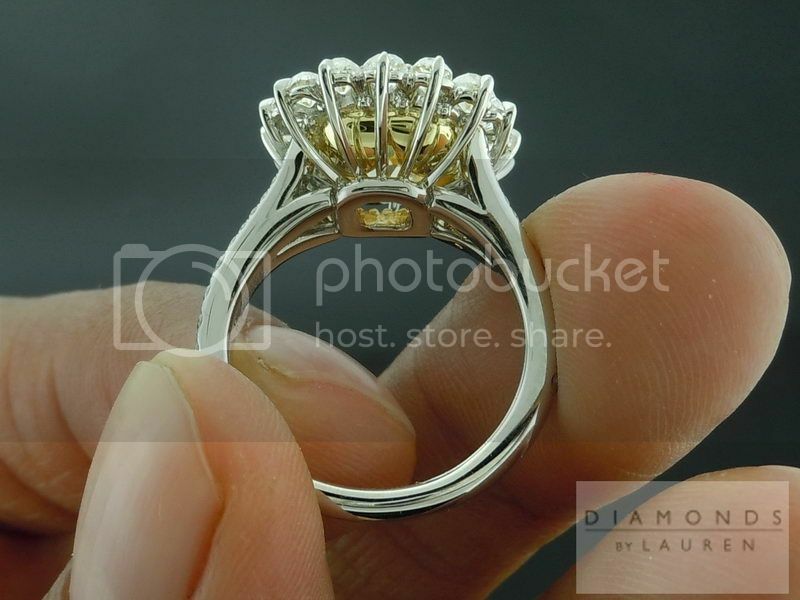 The photos above are ACTUAL Photos of the diamond ring you will receive. 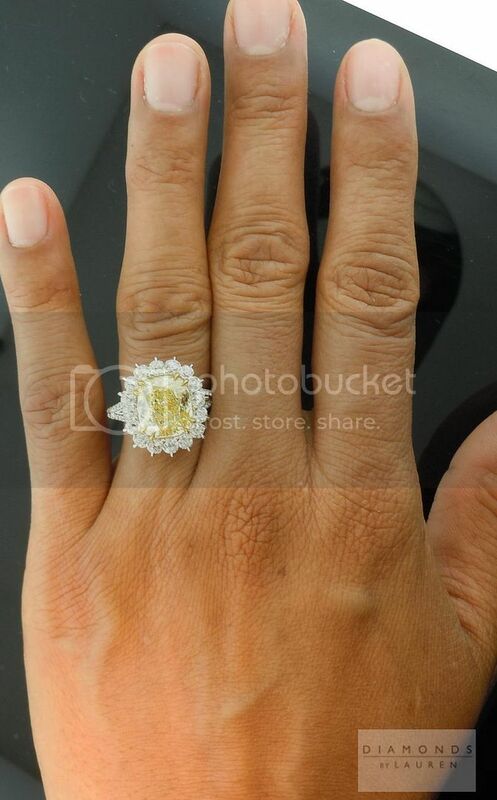 This ring is hand forged, and cast, at the DBL High Line Factory- our "Uber" rings are special for so many reasons. Every surface perfectly polished- even those you don't see easily. To achieve these results, you need a combination of things. A highly skilled workforce is only the starting point. Specialized tools are required. The term "microset" is rarely used accurately. 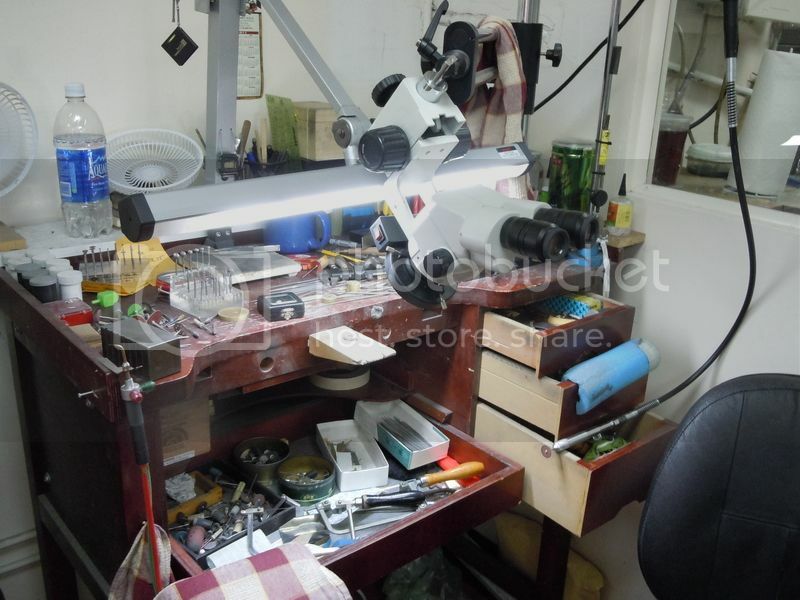 Below, you can see a few workbenches, in the immaculate workspace. 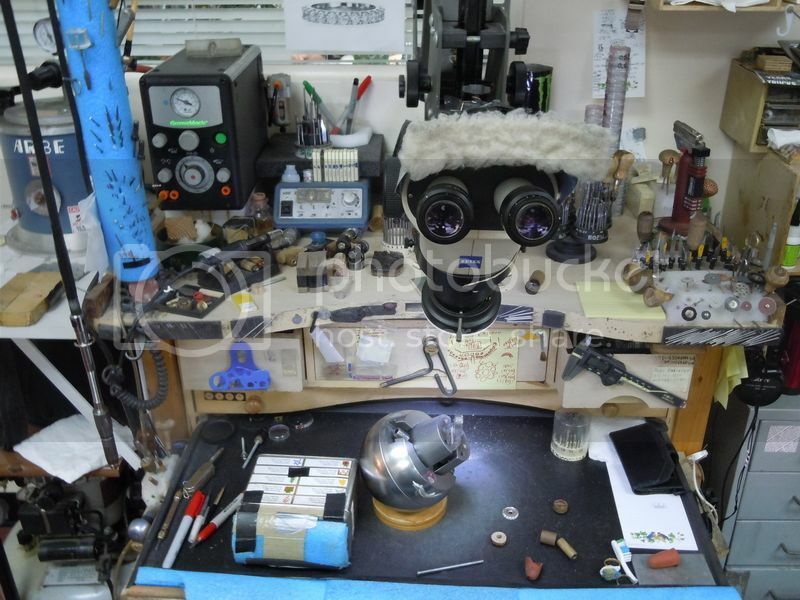 Each is equipped with a microscope. 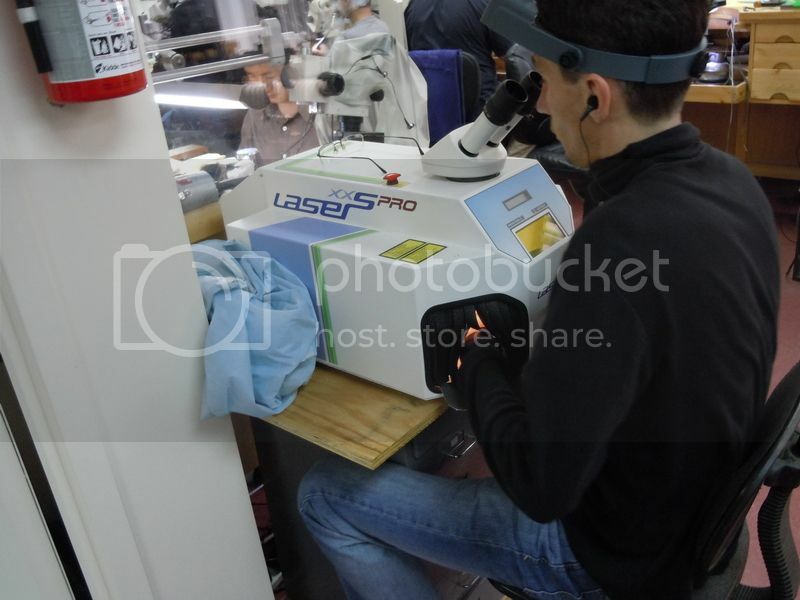 The methods used for welding involve working in as sterile an environment as possible- while focusing acutely on specific areas using a microscope. 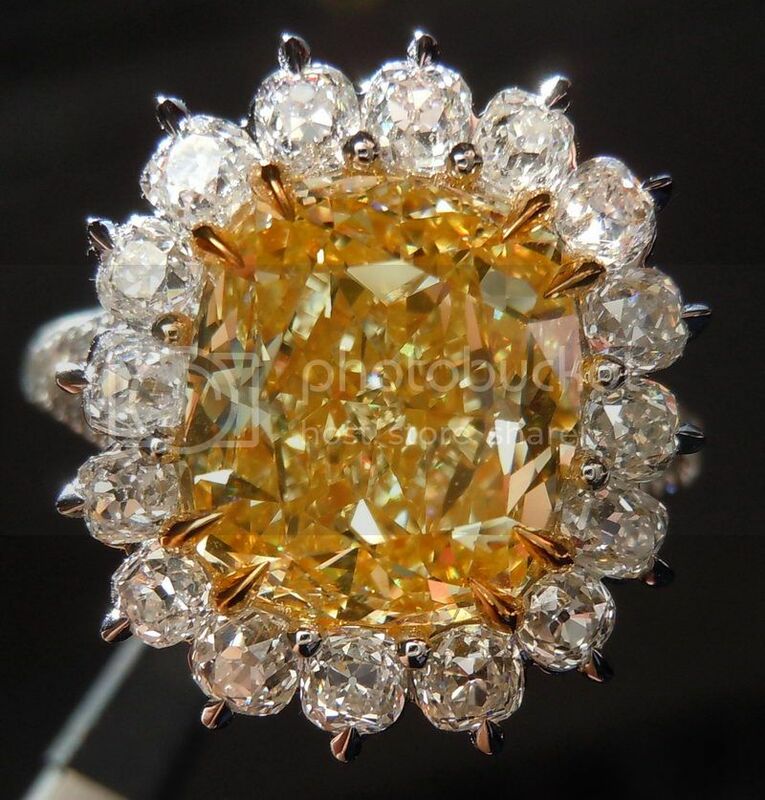 How much will my new diamond appraise for? Why insist on a GIA Report? 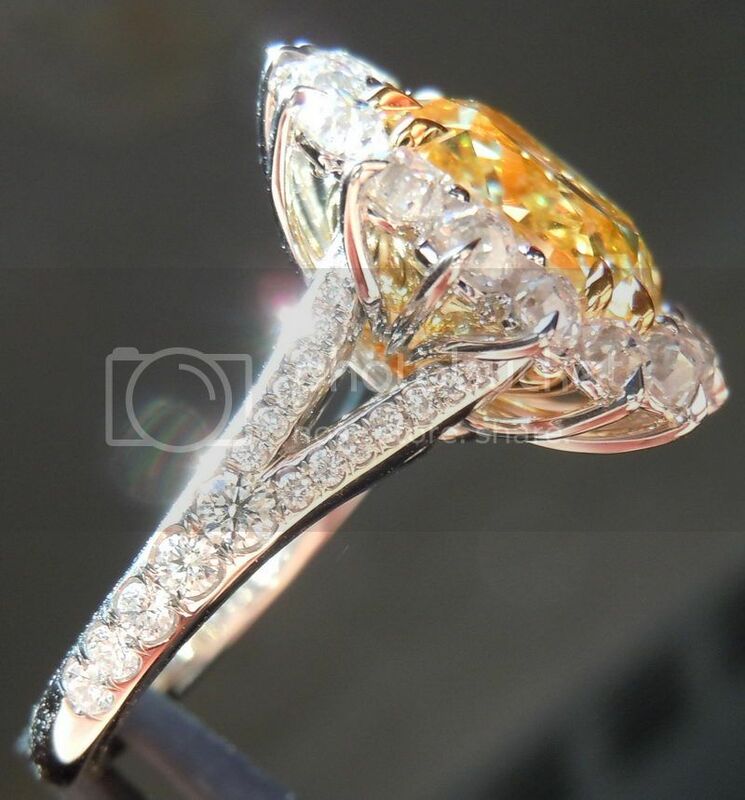 Copyright Rock Diamond Corp 2019 - Diamonds By Lauren | 30 W 47th St New York, NY 10036 - All rights reserved.